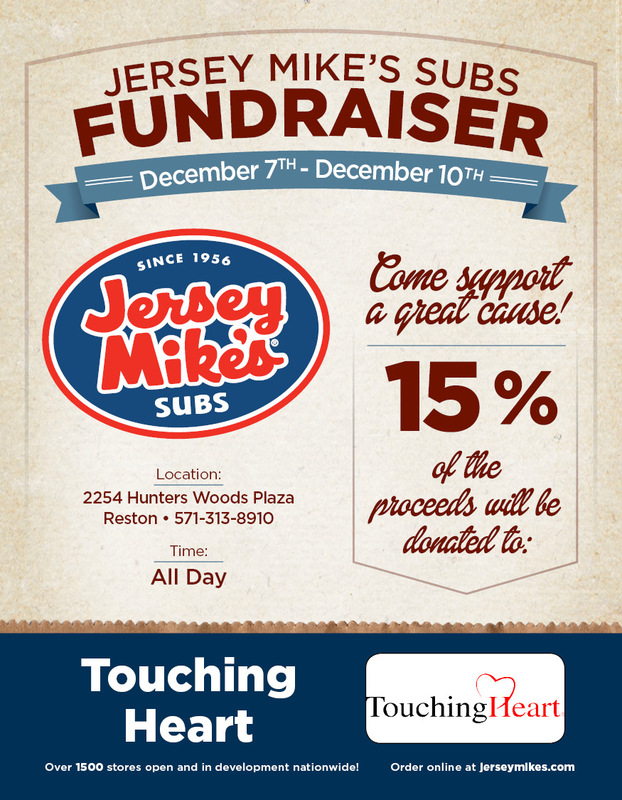 Eat at Jersey Mike’s Subs in Hunters Woods Village Center anytime between Thursday December 7th and Sunday December 10th to support Touching Heart! Don’t forget to bring in the event flyer (below) and 15% of your total purchase will be donated to Touching Heart! Applies to dine-in or carry-out orders. 8th Annual Fairfax County Foster Care Winter Party with Ken Harvey!